Respite care provides a temporary relief to those who are caring for family members who might otherwise require permanent placement in a community. Caring for a loved one in the home can be a very rewarding experience, however, it is essential that family members get regular support in order to relieve stress, restore energy and promote life balance. Respite care in Portland also allows an individual to live in a community for a short-term stay after discharging from a hospital or skilled nursing facility, allowing additional assistance needed prior to returning home. 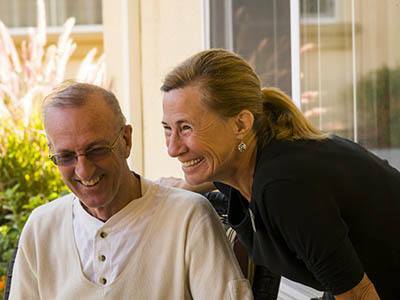 At Pacific Gardens Alzheimer's Special Care Center we welcome your loved one to join our community while providing you with peace of mind that they will be well taken care of during their stay with us.